The Central Intelligence Agency is being investigated for its alleged spying on the U.S. Senate Intelligence Committee. The investigation was confirmed on Wednesday by Dianne Feinstein the committee chairperson. 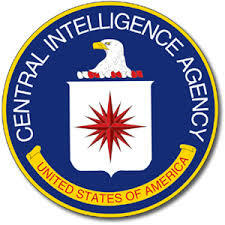 The CIA by law is prohibited from spying on any American and spying on Congress and members of their staff would create many questions about separation of powers. During the 1970s, the Senate and House Intelligence Committees were created by Congress to oversee the operation of the National Security Agency, the CIA and other agencies related to spying after uncovering abuses in spying. The committee is the inspector general or internal watchdog of the CIA and is now reviewing to see with agents from the CIA hacked into Senate staffers’ computers. According to the report from a large newspaper in the U.S., the Justice Department has been asked to investigate the case. The alleged hacking took place on computers of staffers involved in a report that was 6,300 pages in length and took years to complete. The report is classified and concluded that little valuable intelligence was gained from brutal techniques used in interrogation. In June, a response by the CIA challenged facts in the report and the conclusion of the document by the Senate. One of the first things President Obama did when elected to office was end the interrogation program. Mark Udall a Democratic Senator from Colorado and an Intelligence panel member wrote to Obama on Tuesday. Udall urged the president to support the declassification of the entire report. Last December, Udall announced that the committee had obtained CIA internal documents that had been consistent with the report from the Intelligence Committee and contradicted the official response of the CIA. The CIA according to the newspaper report believed the committee might have gained access that was unauthorized to documents from the agency. A spokesperson for the CIA declined to make a comment on the probe by the CIA. A spokesperson for the Obama administration declined comment on the ongoing investigation or when it was first learned by the president about the possibility of spying on the committee in the Senate.